How Fast Are Laser Tattoo Removal Treatments? Do you remember getting your tattoo? You were in the chair for HOURS… So how long does it take each time you come in for a laser tattoo removal treatment at LaserAll? Does it take just as long as getting the tattoo? Do I need to block the entire afternoon on my schedule? These are very common questions and the answer is simply NO! Not even close! With the latest laser technology that we use at LaserAll – The Astanza Duality, not only are you receiving the most effective removal treatments possible, many treatments are over in a matter of seconds! That’s right, seconds! For example, a 1-inch by 1-inch tattoo can be treated in less than 5 seconds of actual laser time. A 2-inch by 2-inch tattoo can be treated in less than 20 seconds. Even a very large tattoo — one that took several hours (or multiple sessions) to apply — can be treated in just a few minutes. 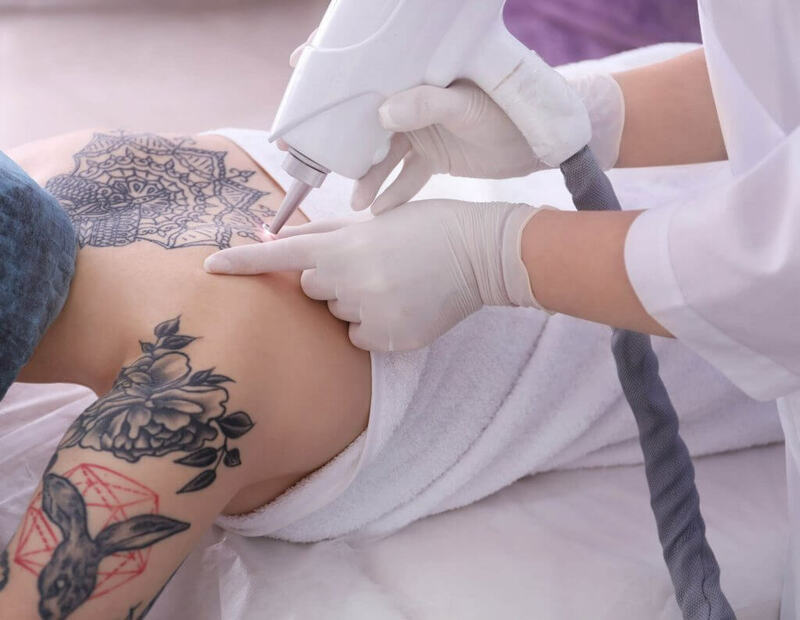 So as you can see, each laser tattoo removal treatment takes just a tiny fraction of the time it took to actually get your tattoo applied in the first place. And all the while we are using our state-of-the-art Zimmer Cryo “cold air machine” to numb your skin during the process. Most of our clients are surprised by how quick and easy the laser tattoo removal process is. The important thing to understand is that laser tattoo removal is nothing to be scared of! If you can deal with putting a tattoo on your skin, you can absolutely deal with having it removed! At LaserAll we are Colorado’s premier tattoo removal experts. We offer free consultations and are here to happily answer any questions you may have about laser tattoo removal.